Description Photograph of 245c & same image as 245a -d; negative with photo. 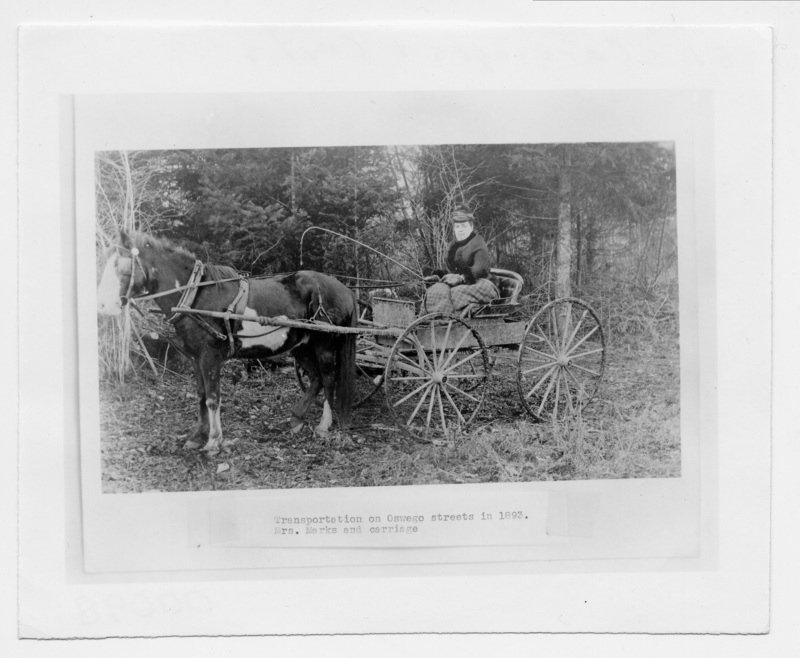 [note on front]: Transportation on Oswego streets in 1893. Mrs. Marks and carriage.